“River’s Child” by Mark Daniel Seiler follows Mavin Cedarstrom after he is rescued from an underground seed vault by a mysterious group of women where he has been trapped in stasis for thousands of years. Upon his revival, Mavin finds that the world has completely changed, both geographically and culturally. In this dystopian world, famine runs rampant. Domesticated grains rarely live to be harvested, as they are constantly under attack by mold and disease. Seiler succeeds in building a complicated environment, where this famine leaks into everyday life, including social customs and politics. The nuance he builds between government officials, their decisions, and the issues they face provides an eerily realistic administration. It’s easy to imagine present day countries debating similar issues. Seiler also provides an interesting take on the evolution vs. religion debate. Though his character Mavin is from the past, most of his futuristic companions have built their entire society on the concept of goddesses shaping the world for them. The different views conflict throughout the novel, and both Mavin and the reader are surprised to find some cross over between the two. The future’s mythological explanations line up with the past’s scientific ones in unexpected parallels. “River’s Child” spans several years following a long, twisting story with many different narrators. The story never drags, and the audience remains invested throughout. My sole criticism is that the time jumps often happen without warning, leaving the reader feeling displaced in the narrative for a time; other than that, the plot and the pacing are both strong. One of the things I loved about this novel is the way Seiler can explain concepts without turning the story itself into a lecture. The reader gets to learn about the consequences of domesticating plants as well as the societal impact of enforcing extreme gender roles. The ending ties the book together nicely. Though it leaves room for a sequel, I don’t think one is necessary. The reader is allowed to assume what they want. 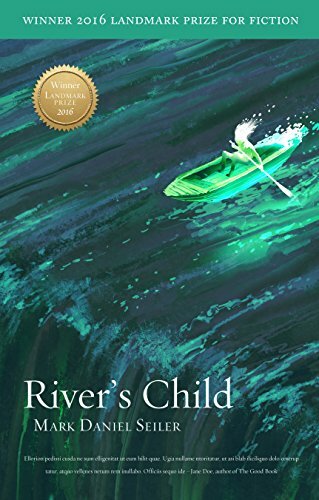 Overall, I enjoyed “River’s Child” by Mark Daniel Seiler. It’s different from a lot of other science fiction out there and definitely worth picking up.